The advent of many creative and innovative therapeutic platforms such as antibody-drug conjugates (ADC), bispecific proteins as T cell engagers (BiTEs, DARTs, BisAbs, etc), scFv, CAR-T and many others have provided a plethora of new potential therapeutic options for patients. While these new innovative platforms may show great promise for patients they also present unique development challenges to the biopharm industry, especially in the areas of constructing and executing a preclinical safety program that will help to understand and mitigate the safety risks, determination of the starting dose in first-in-human trials of these very potent agents, understanding how target and disease burden play a role in patient selection and safety assessment and ultimately, how all of this is taken into account by Health Authorities around the world. The objective of this symposium is to showcase the recent success and emerging trends of preclinical and early phase drug development efforts by leading experts from pharma, biotech and academia to encourage discussions and networking opportunities for our CABS members and other biopharma professionals in the Bay Area. RSVP is required to reserve a seat. NO on-site registration. Lunch will be provided. Please register by Dec 7. Speaker: Hugh M. Davis, PhD, Chief Business Officer (CBO), in charge of Business Development, Sales, Marketing and Strategic Partnerships for Frontage Laboratories, Inc.
Speaker: Steven Chamow, PhD, Vice President of Development at Aridis Pharmaceuticals, Inc.
Speaker: Yuanchao (Derek) Zhang, PhD, President, Alavanda Regulatory & Drug Development Consulting, Inc.
Speaker: Mark T. Marino, MD, Chief Medical Officer at Imugene Ltd.
Hugh has over 30 years of experience in the pharmaceutical industry. His most recent position was with Johnson & Johnson where he has served as Vice President and Head of Biologics Development Sciences in the Janssen BioTherapeutics (JBIO) division of Janssen R&D, LLC since 2001. JBIO is responsible for creating and characterizing all biologic assets for J&J, across all therapeutic areas. In this role, Hugh participated in the development and approval of many biologic therapies including Remicade®, Stelara®, Simponi®, Sylvant®, Darzalex® and Tremfya®. Prior to J&J, Hugh led the Pharmacodynamics & Exploratory Research Laboratory in the Clinical Pharmacology Unit at Glaxo SmithKline from 1996 to 2001. Hugh has published over 75 manuscripts in refereed journals, book chapters and invited review articles in areas of therapeutic drug discovery, clinical pharmacology and development in immunology, oncology, metabolic disease, bone metabolism and cardiovascular medicine. Following receipt of his Bachelor’s degree in Chemistry from Gannon University in 1980 and Master’s and Doctorate degrees in Biochemistry from Villanova University in 1983 and 1985, Hugh completed a Post-Doctoral Fellowship at Centocor, Inc. where he patented the characterization of the CA 125 cancer antigen, a marker used in the diagnosis of ovarian cancer. Hugh has taught Chemistry, Biochemistry and Physics at Delaware County Community College, Immaculata University, Thomas Jefferson University and for 30 years at Villanova University, primarily teaching Allied Health majors in General, Biochemistry and Organic Chemistry. Hugh is a member of the Villanova University College of Liberal Arts and Sciences Dean’s Advisory Council. Clinical Development: NDAs and sNDAs for Afrezza®, Clarinex®, Banzel®, Acipex®, Aricept® and CL-108. Global Head of Daiichi-Sankyo Mirogabalin Development Team, Worldwide Phase 3 Trials for 3 Indications (6,000+ subjects) in 3 Regulatory Areas (FDA, EMEA, MHW). FDA Advisory Committee meetings for Claritin® and Actemra®. Clinical Pharmacology: 10+ INDs across multiple therapeutic categories including endocrinology, rare-diseases, neuroscience, oncology, cardiology and transplantation leading teams to POC. Multiple pharmacokinetic, pharmacokinetic - pharmacodynamic and population pharmacokinetic, pharmacokinetic - pharmacodynamic analysis for regualtory submissions and publication. Data analysis with Win-NonLin, NONMEM, R, Python, and SAEMIX. Mergers and Integration Team Management: Managed Integration Teams between Daiichi-Sankyo and Ambit and Daiichi-Sankyo and Charleston Laboratories, which resulted in strategic collaboration that managed a global development program for CL-108 (novel treatment for Opioid induced nausea and vomiting) and a JAK-2 asset. Derek has 20 years of combined experience in drug development and regulatory review/approval, including 4 years of industrial experience at Pfizer, 6 years of regulatory review and approval experience at U.S. FDA, and 10 years of experience in drug development and regulatory consulting (4-year executive experience at Frontage Laboratories as Vice President and Head of Drug Development and Regulatory Consulting). Derek was Senior Clinical Pharmacology Reviewer in the Office of Clinical Pharmacology, the Center for Drug Evaluation and Research, the Food and Drug Administration (FDA). He reviewed numerous NDAs including several NME NDAs and one BLA, NDA supplements, and IND submissions (both drugs and biologics). He also contributed to several FDA guidance development and revision. Derek lectured at Pharmaceutical Education & Research Institute, Inc. (PERI)’s Premarketing Clinical Drug Safety and Risk Assessment Course many times. Derek is currently an independent pharmaceutical and regulatory consultant. Derek has in-depth experience in drug development plans/strategies and regulatory review and approval requirements. In the past 10 years, Derek has been providing drug development and regulatory consultation to clients in pharmaceutical industry including Chinese pharmaceutical companies for their new drug development programs including 505(b)(2) and biologics in the United States. The consulting scope covers but not limited to the overall drug development strategies/plans and FDA IND filing preparation, FDA interactions from pre-IND meeting, IND filing, EOP2 meeting and pre-NDA meeting, and clinical development programs after the IND opening. He has over 30 successful IND filings in the past several years and continues to work with clients in the clinical development phases of those drug candidates. Three of those drug candidates are in Phase 2 drug development; one candidate is ready to enter Phase 3 clinical development; and two 505(b)(2) drug products are at the Pre-NDA filing stage now. Derek also has in-depth experience in monoclonal antibody development and regulatory review/approval area. At Pfizer (Groton, CT), he was one of the team members on Pfizer's first biologics program, a CTLA4 mAb (CP-675,206 (tremelimumab)) IND project team. He gained firsthand experience in preclinical and clinical pharmacokinetics including immunogenicity testing for mAb from pre-clinical to Phase 1. At the FDA, as a clinical pharmacology reviewer, Derek reviewed several mAb INDs and one complete BLA, motavizumab for the treatment of children with respiratory syncytial virus (RSV) illness from MedImmune. Derek also has extensive experience in designing bioequivalence (BE) studies for generic drug products including protocol design, study report review and formulating strategies to improve in vivo performance from failed BE studies. He has been consulted by many pharmaceutical companies regarding BE study design for ANDAs. Some of the projects targeted both FDA and WHO approval. He was a consultant for USP/WHO PQM on bioequivalence related issues. Prior to the FDA, Derek was Senior Research Scientist at Pharmacokinetics, Dynamics & Drug Metabolism, Groton Laboratories, Pfizer Global Research & Development, Pfizer Inc.
Derek received his Ph.D. in 1998 from the University of California, San Francisco (UCSF) under Professor Leslie Z. Benet. Derek is a member of American Association of Pharmaceutical Scientists (AAPS) and American Society for Clinical Pharmacology and Therapeutics (ASCPT). His major scientific interests include exposure/response, drug interactions, interplay of drug metabolism enzymes and transporters, pharmacogenomics, and effect of renal impairment on enzymes and transporters as well as their contributions to decision makings in drug development. He has authored or co-authored more than 40 papers, book chapters, posters, and invited presentations in the areas of clinical pharmacology including bioequivalence and risk assessment. 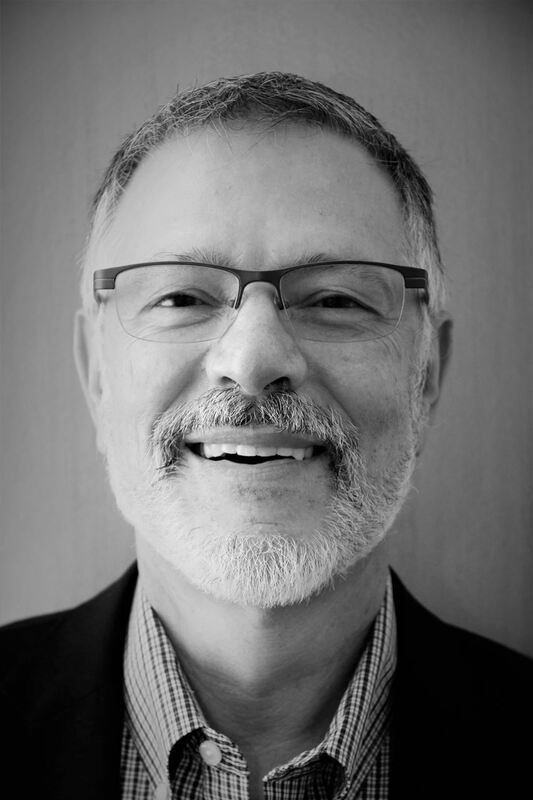 Speaker: Steven Chamow, PhD, Vice President of Development at Aridis Pharmaceuticals. Inc.
Steven Chamow, Ph.D., has 30 years of experience in biopharmaceutical product development including monoclonal antibodies, fusion proteins and nucleic acids. He is currently Vice President of Development at Aridis Pharmaceuticals, Inc., responsible for design and manufacture of the company’s mAb-based therapeutic products. During his career, he has contributed to the development of three marketed products (Avastin, Natrecor, Vectibix). Prior to Aridis, he served as Senior Vice President, CMC, at Intradigm Corporation, a private biopharmaceutical company focused on developing RNAi therapeutics (acquired by Silence Therapeutics). Dr. Chamow was Vice President, Process Sciences, at Genitope Corporation and at Abgenix, Inc., (acquired by Amgen) where he built the company’s process sciences department and helped to lead the design and construction of Abgenix’ award-winning production facility in Fremont, CA (sold by Amgen to Boehringer-Ingelheim to become its first North American production facility). Before Abgenix, he served as Director of Biopharmaceutical Development at Scios, Inc. (acquired by J&J), and as a scientist and senior scientist in process development at Genentech, Inc. (acquired by Roche). Dr. Chamow was educated at the University of California (UC Santa Cruz, B.A. in biology; UC Davis, Ph.D. in biochemistry), and completed postdoctoral training at the National Institutes of Health. He is author or co-author of more than 50 scientific publications and patents and co-editor of a 1999 book entitled Antibody Fusion Proteins. Dr. Chamow completed a second book on the same topic (Therapeutic Fc-Fusion Proteins) published by Wiley-Blackwell and released in 2014. Dr. Kwok is a senior biopharmaceutical executive with broad operational expertise who has executed over 150 transactions including M&A, strategic partnerships, licensing, divestitures, spin-offs and project financing. Dr. Kwok is the Managing Partner and Founder of Linear Dreams LLC, a management consultancy for the life sciences industry. The firm’s engagements include business/corporate development, in/out-licensing, corporate strategy, portfolio planning, due diligence, search & evaluation of products and technology, for 38 biopharmaceuticals companies, contract research & non-profit organizations, research institutes and investors in USA, Europe, China, Taiwan and Singapore. Linear Dreams completed many assignments focusing on corporate strategy analyses, portfolio analyses, market intelligence and due diligence on behalf of investors. In addition, the firm helped clients to structure and close multiple collaborations, establish license agreements and supported the inception of a multinational life sciences fund. 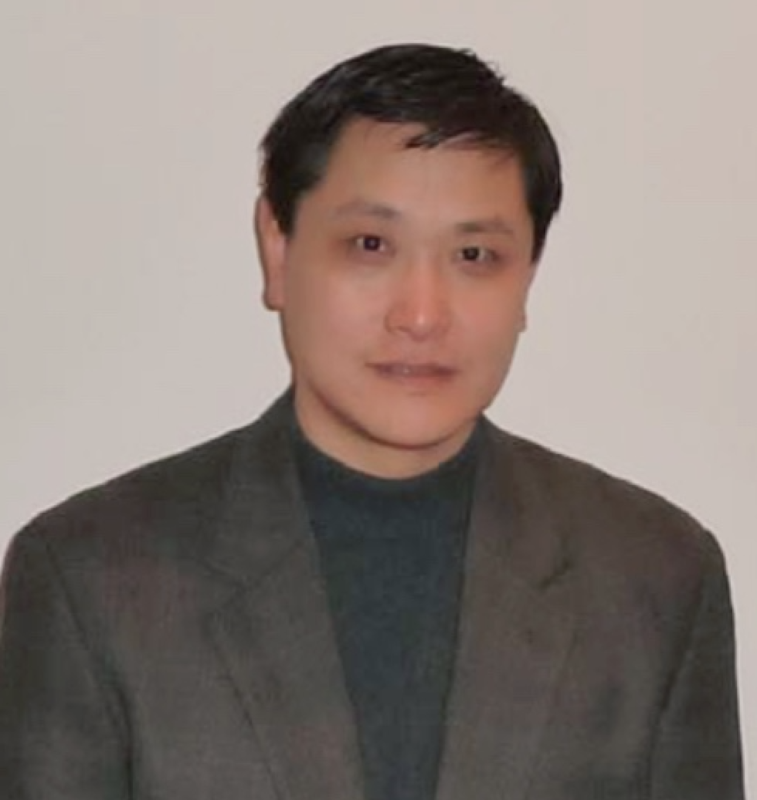 Dr. Kwok currently serves as the Senior Advisor of Shanghai Henlius Biotech Inc., and Hengenix Biotech Inc., Head of Business Development of Immune-Onc as well as the Chief Business Officer of Fochon Pharma. As Senior Vice President, Corporate Development at Poniard Pharmaceuticals Inc., Dr. Kwok established corporate and business development, strategic and commercial planning, new product planning, competitive intelligence and forecasting functions. Previously, she was Director of Business Development at Celera Genomics Inc., where she led the business development efforts for Celera's small molecule therapeutics, including the divestiture of the oncology pipeline (including Imbruvica® (ibrutinib)) to Pharmacyclics Inc. (now an AbbVie Company). 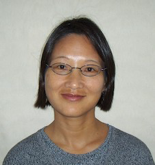 Dr. Kwok held business development positions of increasing responsibility at Exelixis Inc., where she initiated multiple partnerships and served as the alliance manager for the GlaxoSmithKline PLC (GSK) collaboration. Prior to joining Exelixis Inc., she held various research management, technology assessment and alliance management roles at SmithKline Beecham PLC (now GSK). Dr. Kwok received a bachelor's degree in biotechnology from the Imperial College of Science, Technology and Medicine, University of London, UK, a Ph.D. in human molecular genetics from the University of Cambridge, UK and has earned the Certified Licensing Professional (CLP) credential awarded by the Licensing Executives Society. Dr. Kwok served as the President of the Chinese-American Biopharmaceutical Society (CABS) in 2016-2017, Vice President of Chinese Bioscience Association in 2015 and Chair of California Chinese Unit Leadership Council of the American Cancer Society (CCU-ACS) in 2015-2016. At present, Dr. Kwok serves on the Board of Directors of CABS, and the Standards, Admissions & Recertification committee of Certified Licensing Professional (CLP). 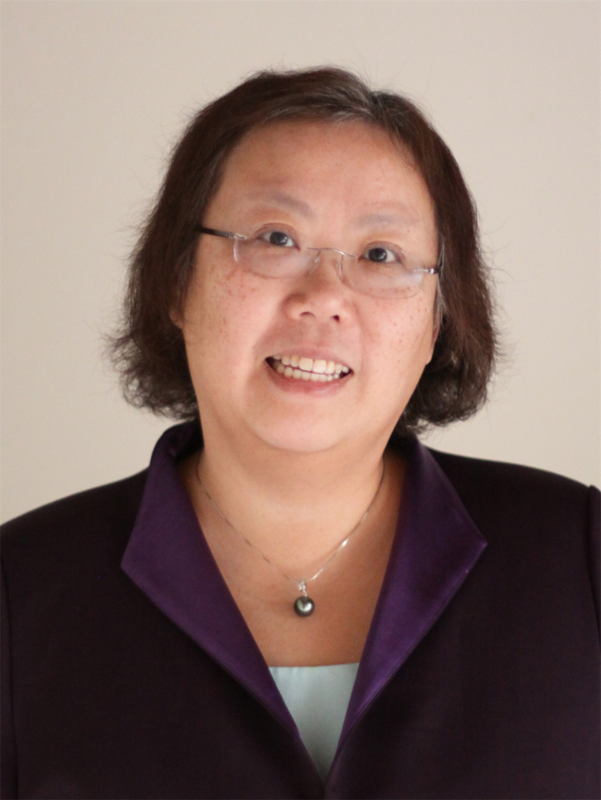 Cuiping “Tracy” Chen, PhD, is a solution-oriented, innovative, servant leader and team player with >20 years of experience in applying knowledge in pharmacokinetics, pharmacodynamics, clinical pharmacology and drug delivery to the discovery and development of safe and effective remedies. Currently Tracy is a senior director, clinical pharmacology and early development at Jazz Pharmaceuticals. Her roles at Jazz include leading a cross-function early development team for clinical pharmacology study strategy & execution, supporting clinical development, regulatory submission/interaction, medical education, publication, lifecycle management, and IP strategy, reviewing in-license programs, Identifying and managing CROs and consultants in the areas of DMPK/BA/Clin Pharm. Prior to Jazz, Tracy had worked in both discovery and development in companies including BMS, Pfizer, JNJ, Celgene and Depomed. She is on the Editorial Advisory Board for Drug Metabolism & Disposition and frequent reviewers for Clinical Pharmacology & Therapeutics. She has near 40 peer-reviewed papers, book chapters and patents in the area of DMPK, drug delivery and clinical pharmacology.